How to Make Hair Oil at Home with Amla? Grey hair? Split ends? Excessive hair fall? Are you tired of using cosmetic shampoos and conditioners that simply don’t work? If so, you need a home remedy – a remedy that has been in use since the ancient times. It is time-tested and trusted and the best part is that you can make the product right at your home with very little effort. Yes, you guessed it right! We are speaking of homemade amla hair oil. 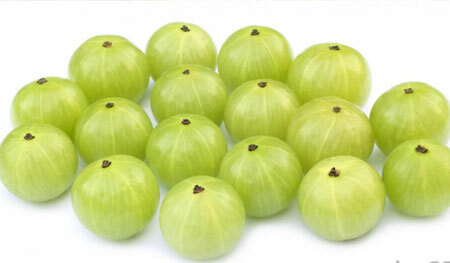 Also referred to as Indian gooseberry, amla is one of the wonders of nature that can help you to maintain long and shiny black tresses without any premature greying and of course you can get rid of hair fall and split end problems. This article will explain how to make hair oil at home with amla. You will need amla and coconut oil. You need buy them. You will need sunlight and that’s free. You will need a stove and that comes with some cost too. Finally, you will need some time. Chop amla into small pieces – as small as possible. Leave them in sunlight for a couple of days to make sure that the pieces are dry and crisp. The smaller the pieces, the quicker they dry. Crush the dried pieces to form a powder. Mix the powder with coconut oil properly for some time. Make sure that there are no lumps. Now take coconut oil and amla powder mixture in a container and heat it. While heating, you will notice that the oil gradually starts to change its hue to brown. Turn off the stove when the oil turns brown completely. Allow the heated oil to cool down to room temperature normally. Once the oil reaches the room temperature, pour it into a jar and close the lid properly. Voila! You are done! Now you can use the oil every day before bath. Apply on hair 30 minutes before you go to shower. Use daily and you can start noticing the difference within a week. This homemade amla hair oil is known to effectively reverse the premature greying process and can get rid of split ends. It strengthens the hair roots preventing excess hair fall. Also Read “Amla, Reetha & Shikakai Shampoo Recipe” here.